Bermuda’s Trey Simons — who competes for runs for Morehouse College — continues his winning ways, racing to victory in the Willie Laster Invitational cross country meet in a time of 27:42.03. 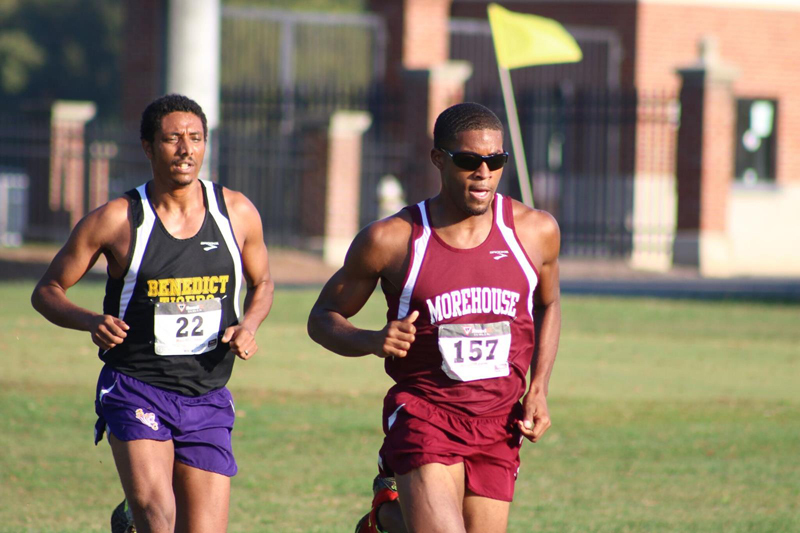 The school’s website said, “Trey Simons grabbed the top spot and three other Maroon Tigers finished in the Top 10, to give Morehouse, a season-low 27 points and a convincing win in the Willie Laster Invitational cross country meet. “Simons ran the course in 27:42.03 ahead of Zachary Johnson, of Albany State. Collins Kiplimo, in 27:47.06, came in third, followed by John Milton, in fourth, at 28:01.45. This is Simons third win in recent weeks, following after his victory at the Falcon Classic in Alabama and his win at the 8K UAH Chargers Cross Country Invitational in Huntsville, Alabama.